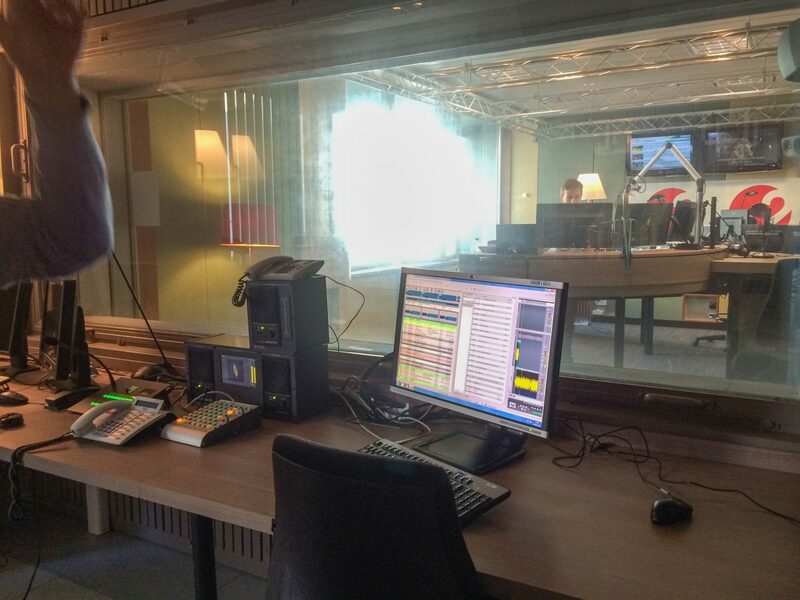 As Flanders’ public broadcaster, VRT needed to create a new, content-centric control room - spanning radio, television and digital production - to keep up with the ever-changing media landscape. 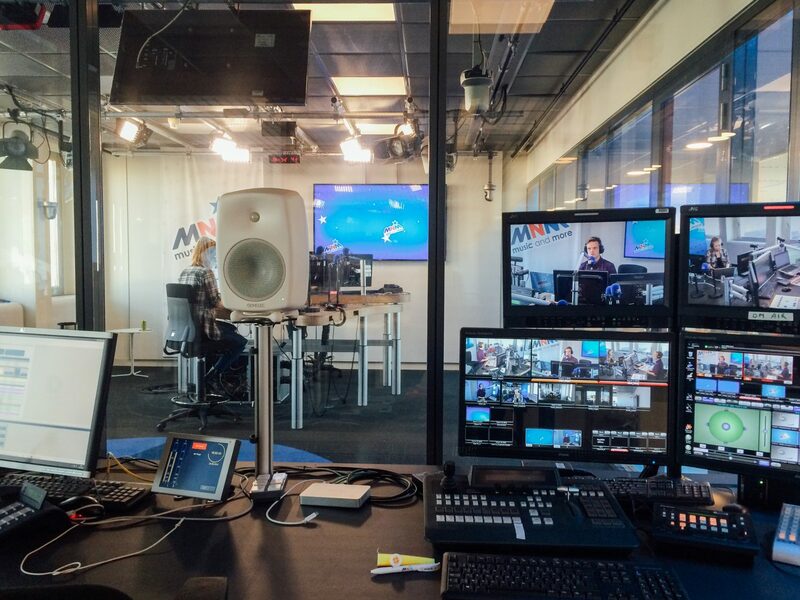 Broadcasting control rooms are critical to broadcaster operations, and have a profound impact on the end-user experience. 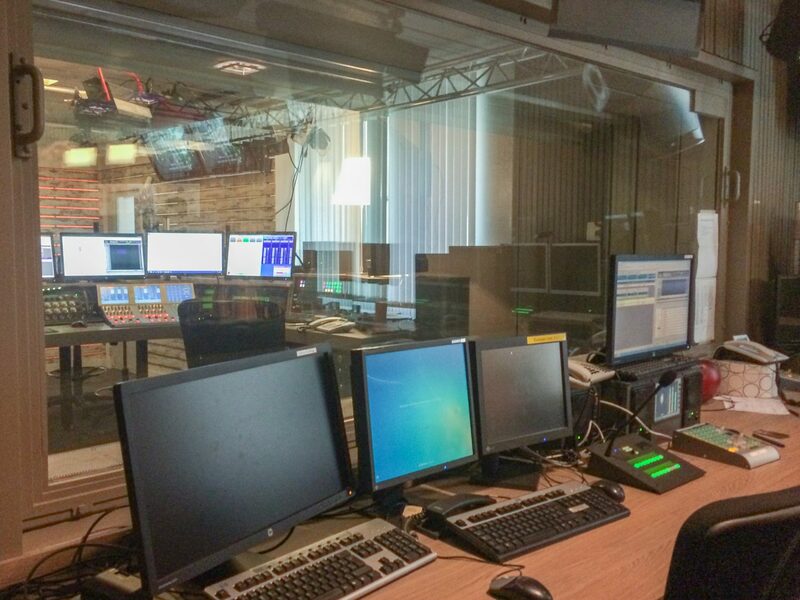 The VRT’s new building provided the broadcaster with a golden opportunity to rethink its control room, which meant rethinking the way it conceives, creates and publishes content. In the previous building, control rooms and operators were divided into different silos for radio, TV and online activities. The convergence of content – where users consume content from the same VRT brand via TV, radio, PC and mobile – means combining these silos into integrated teams to encourage and support collaboration and new forms of content. However, the new control room would also need to be flexible, as control rooms are regularly rebuilt to accommodate new technical equipment. These constant changes create a challenging environment for the operators, who need to provide an optimal end-user experience day and night. 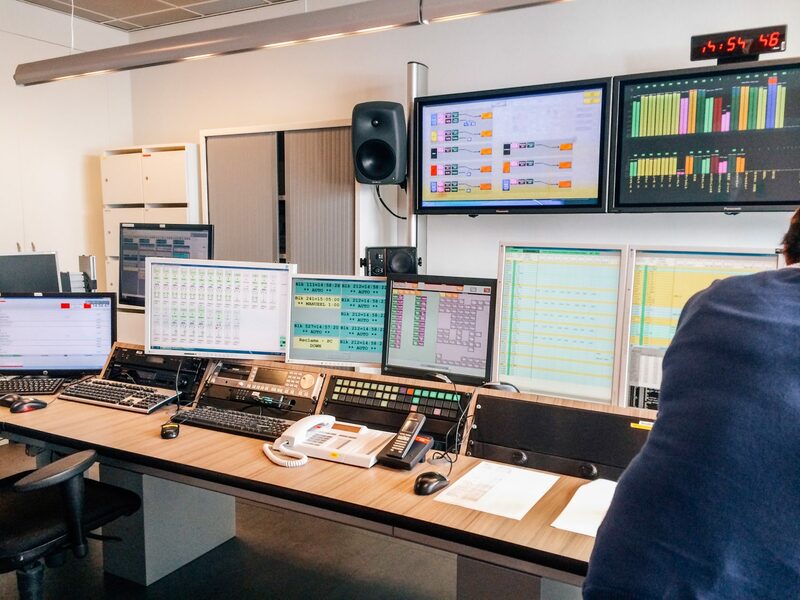 VRT turned to Namahn for help in analysing its current operational activities, describing the requirements for the new control room, and making the new vision concrete. This project was carried out in partnership with Symbio, a consultancy with highly valued expertise in control-room design. 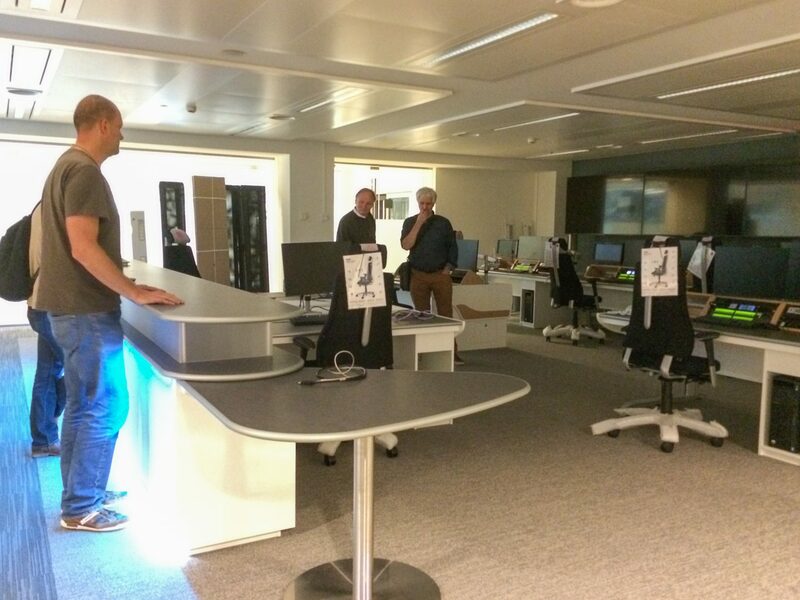 VRT’s operators, team leads and managers first invited us into their workspace to share their insights, interactions and needs, allowing Namahn and Symbio to better understand their current operational activities and underlying infrastructure. With all requirements gathered during the field study, we distilled a set of design principles to guide the layout of the control centre. A major challenge was the seemingly contradictory design requirements, such as providing both openness and acoustic isolation, or using natural light in a room full of video walls. We tackled these challenges by looking at the situation from multiple perspectives: technical, human, interaction and organisational. We also examined the flow of content through VRT to model the new layout. 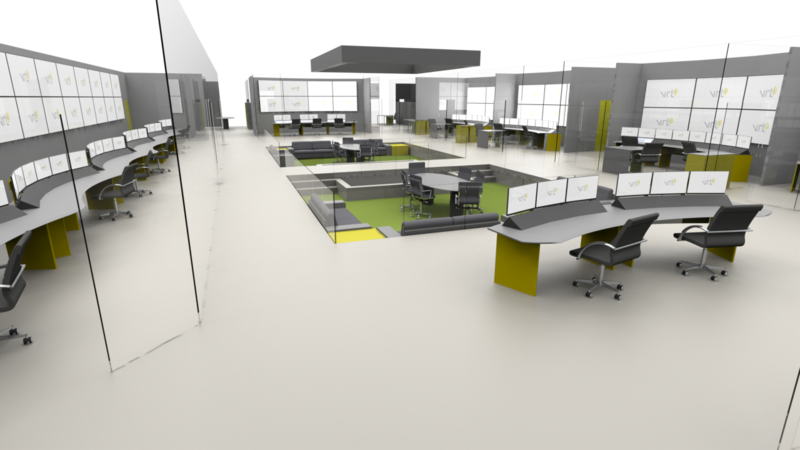 The resulting content flow underpinned the new control room design, allowing us to optimise interactions between teams and improve their collective view of all current operations. 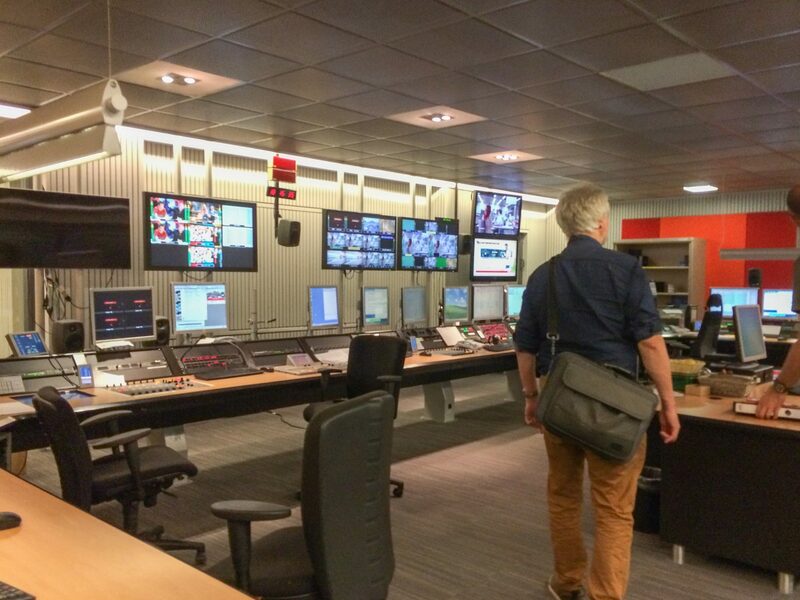 The resulting vision of the future VRT control centre is integrated, helping the broadcaster evolve from a media-centric to a content-centric organisation. It also streamlines the VRT’s content flow, increases the well-being of the operators and delivers an optimal experience to the end-user. 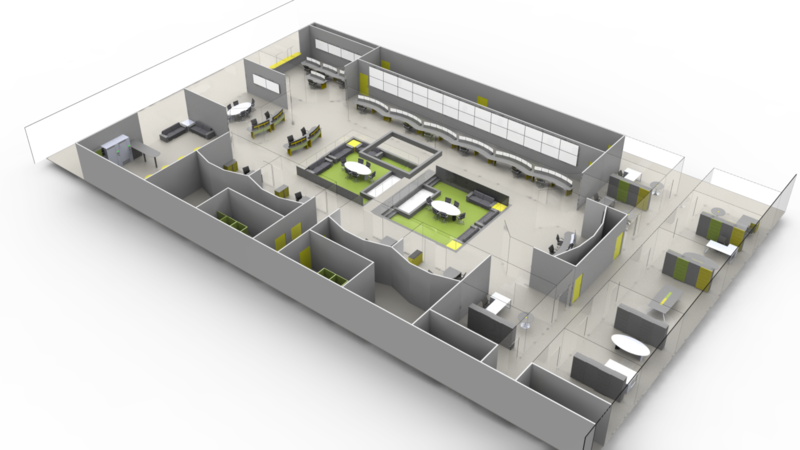 By encompassing all activities the control room needs to support, as well as the many different requirements it must comply with and the final design, this vision played a crucial role in helping the VRT discuss and understand the architectural design of the new headquarters.